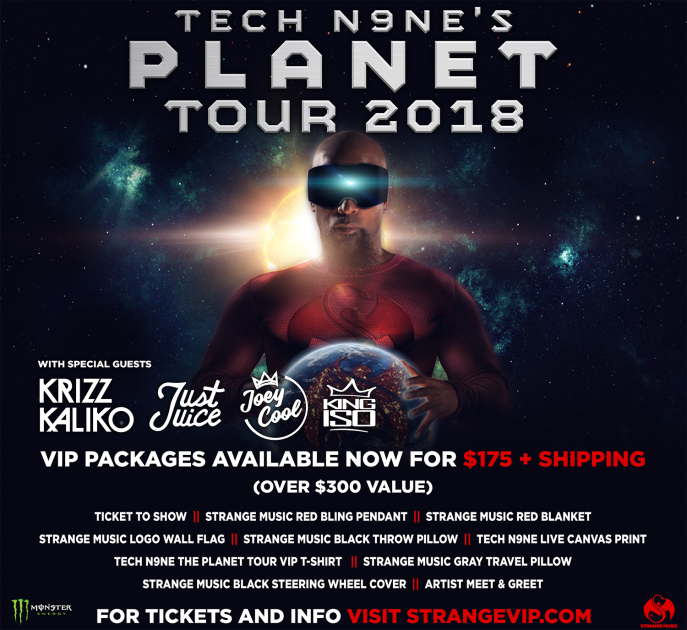 Tech N9ne’s Planet Tour 2018 – VIP Packages Now Available! 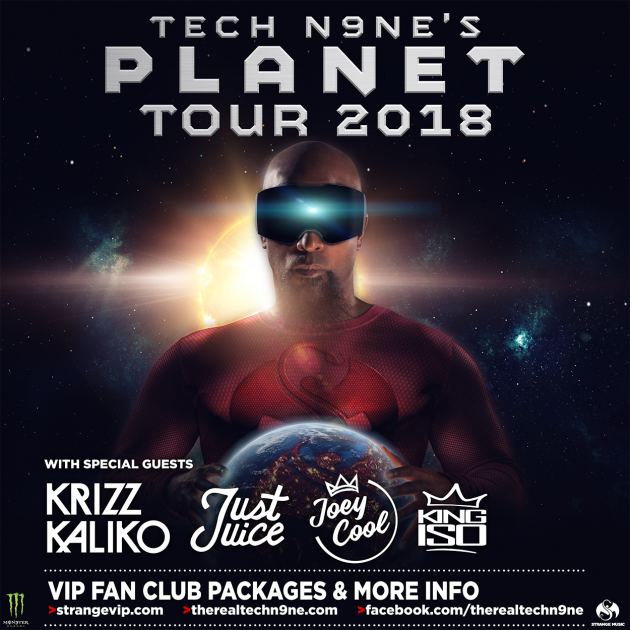 Strange Music is pleased to announce Tech N9ne’s Planet Tour 2018 with Tech N9ne, Krizz Kaliko, Just Juice, Joey Cool and King Iso. Don’t let the chance to experience Tech’s Planet Tour like a VIP pass you by. We got the emails and know that a lot of you missed out on the VIP experience last year. Due to changes in venue policies, this tour’s VIP package availability is more limited than before – so don’t wait to get yours! Head over to strangevip.com for more information and to select the show you want to attend – you’ll get an amazing package of VIP merchandise and a one hour artist meet and greet.